Hurricanes have had an important impact on the development of Florida. 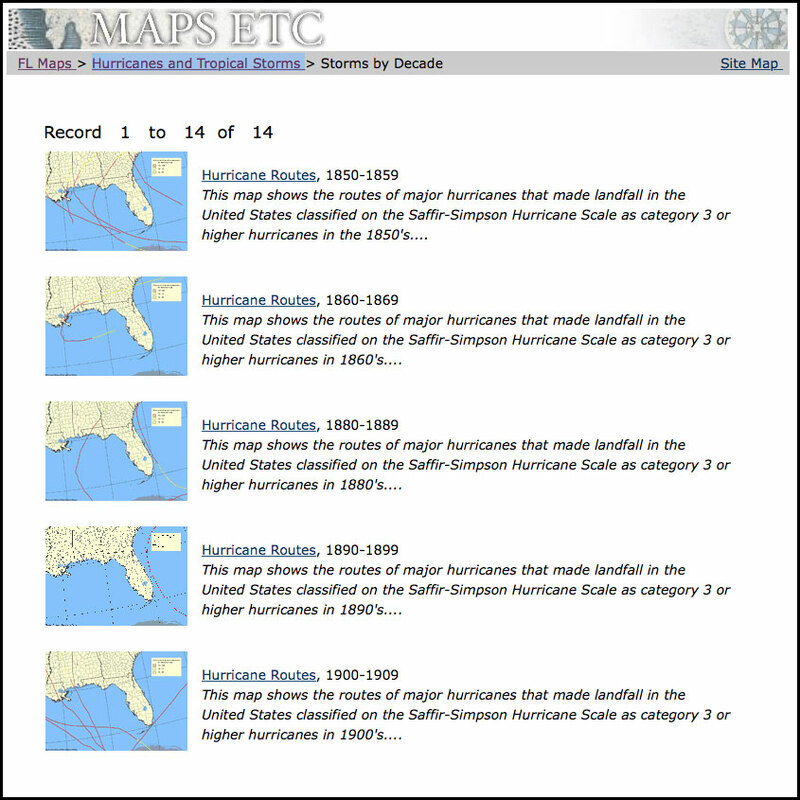 This collection of teaching resources includes articles on the history of hurricanes in Florida, nearly 200 maps, and science lessons and activities related to tropical cyclones. 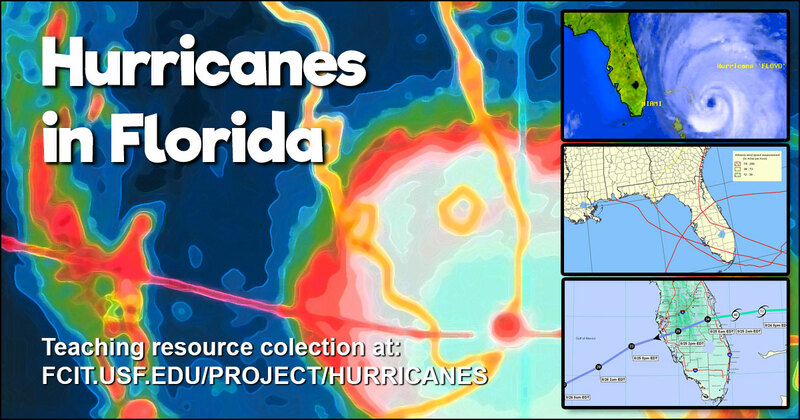 Use this banner on social media to share our collection of hurricane teaching resources. 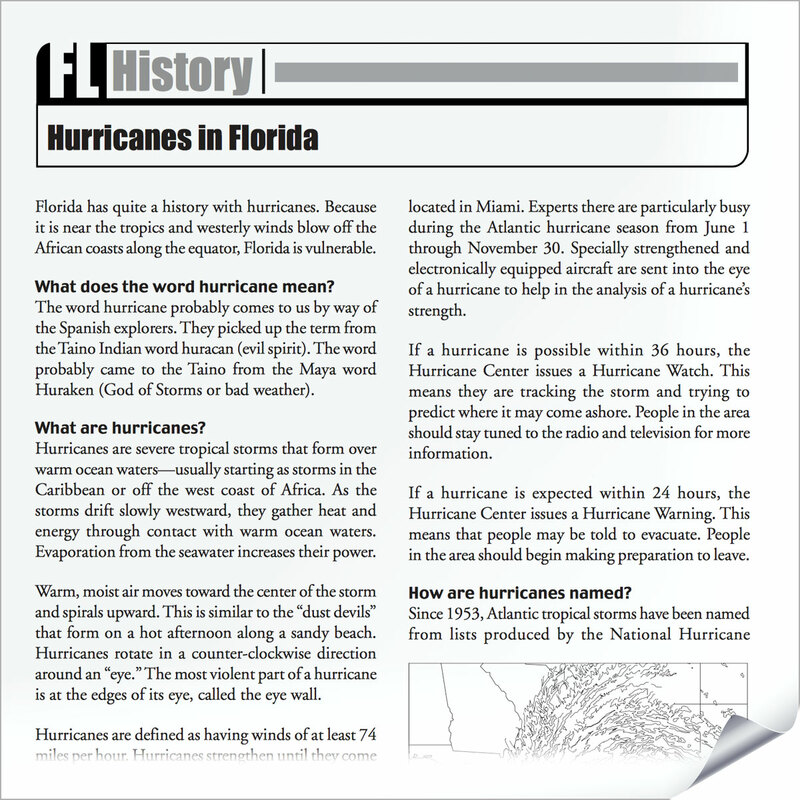 Two-page PDF about hurricanes in Florida from the “Florida Then and Now” section of the Exploring Florida website. Passage is written at the upper elementary reading level. 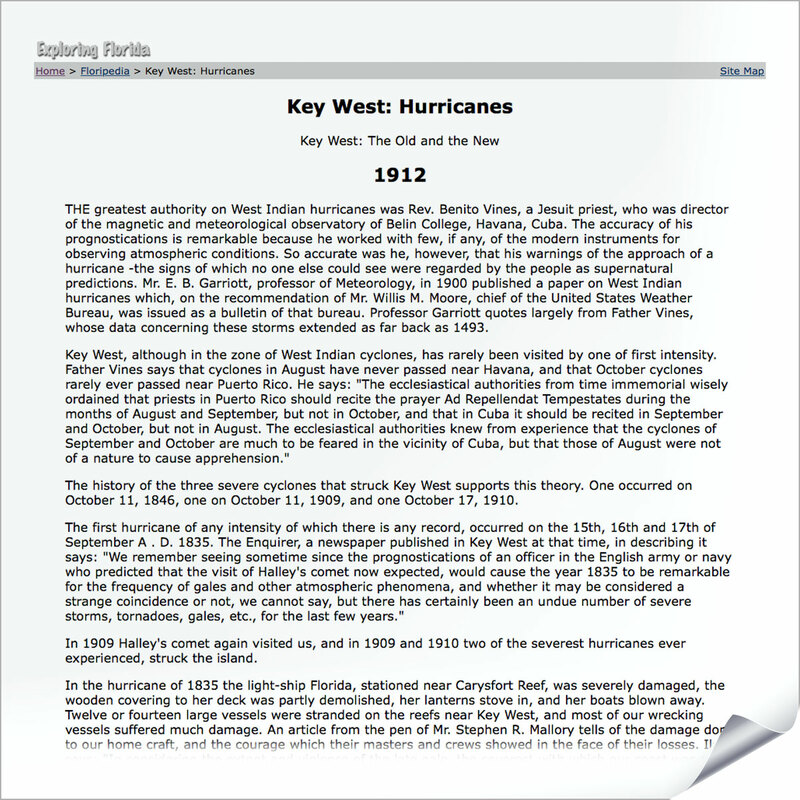 A history of hurricanes at Key West, published in 1912. Passage is from the Exploring Florida website. 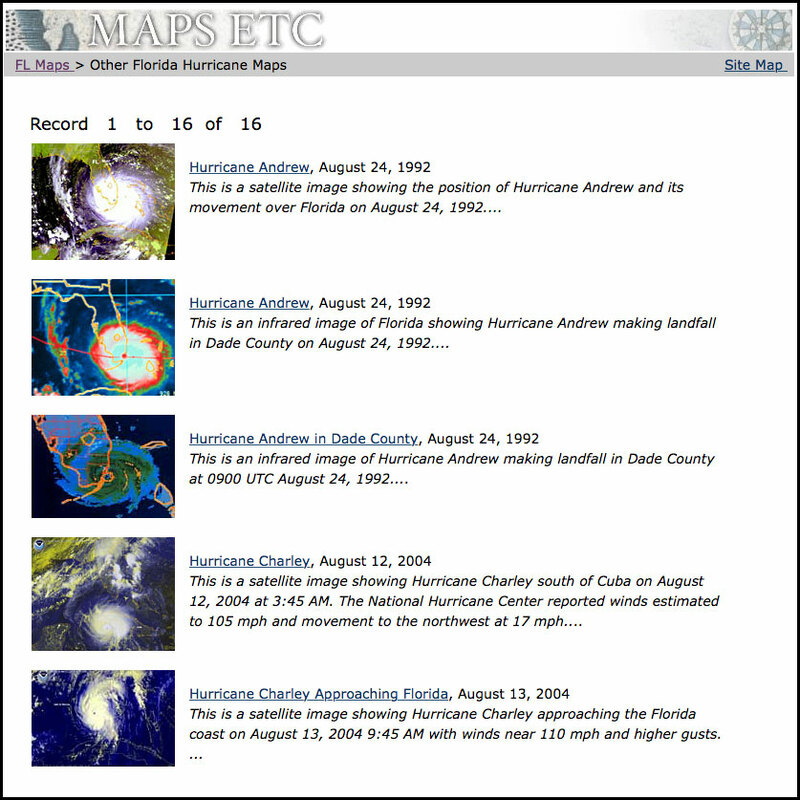 Gallery of 14 maps that show tropical storm and hurricane activity near Florida by decade from the 1850s to the 1990s from the Exploring Florida Maps website. 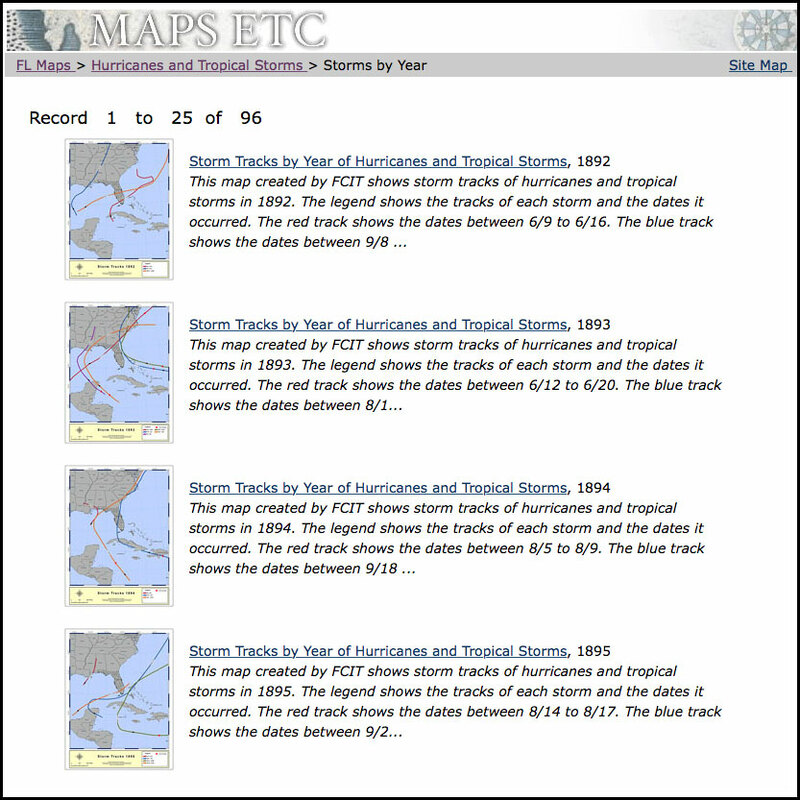 Gallery of 96 maps that show tropical storm and hurricane activity near Florida by year from 1892 to 2007 from the Exploring Florida Maps website. 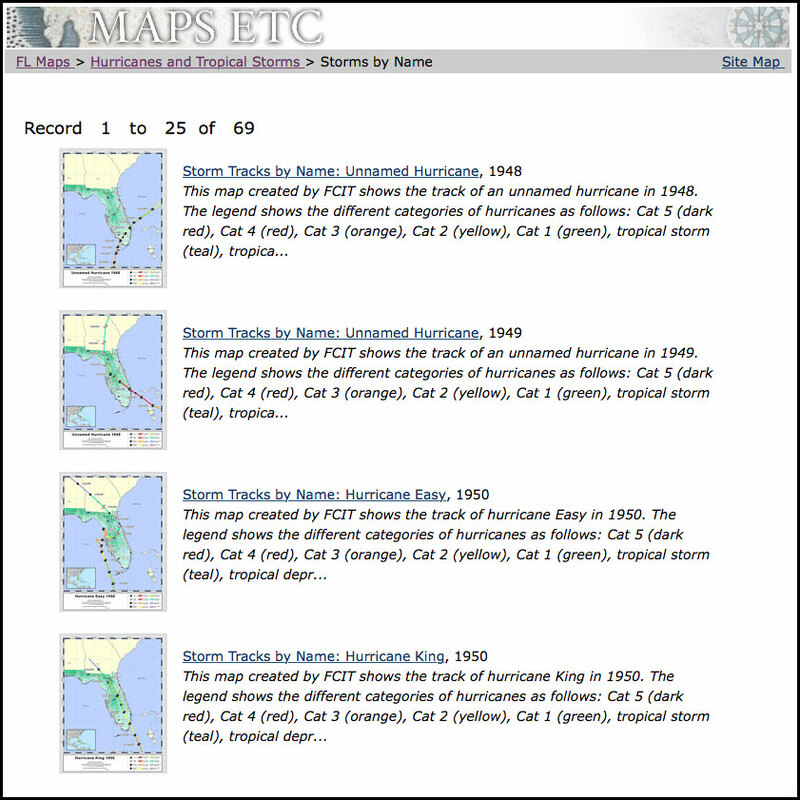 Gallery of 69 maps that show tropical storm and hurricane activity near Florida, and shows routes of named storms, including when and where they were declared hurricanes, from the Exploring Florida Maps website. Gallery of 16 other Florida hurricane maps, including NOAA images and pictures from recent hurricanes, from the Exploring Florida Maps website. 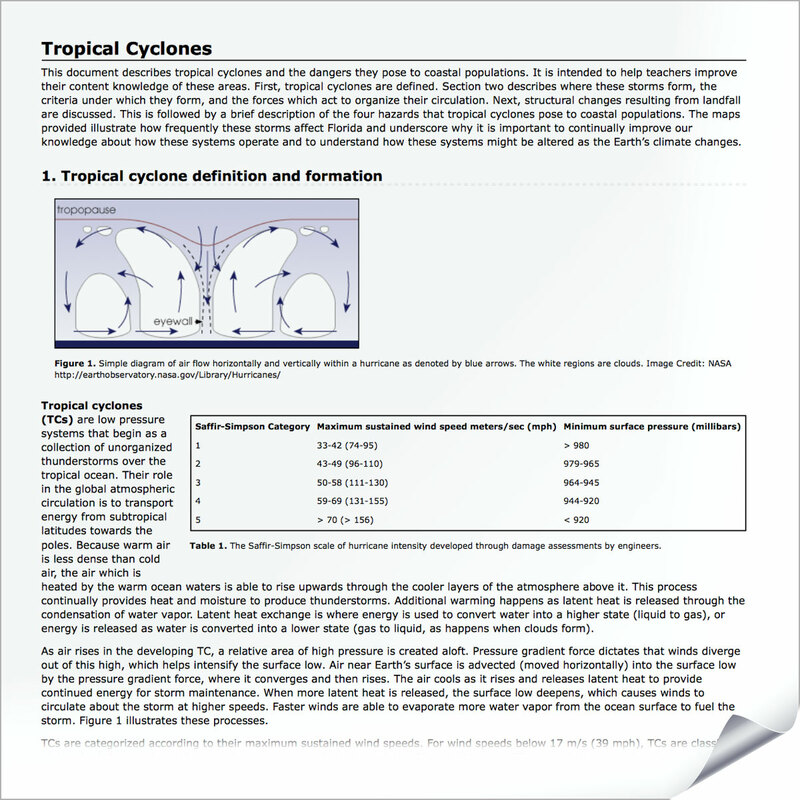 This document describes tropical cyclones and the dangers they pose to coastal populations. It is intended to help teachers improve their content knowledge of these areas. 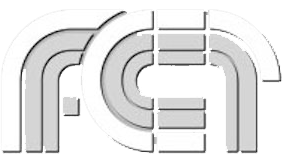 Also available as a PDF rom the Exploring Florida website. 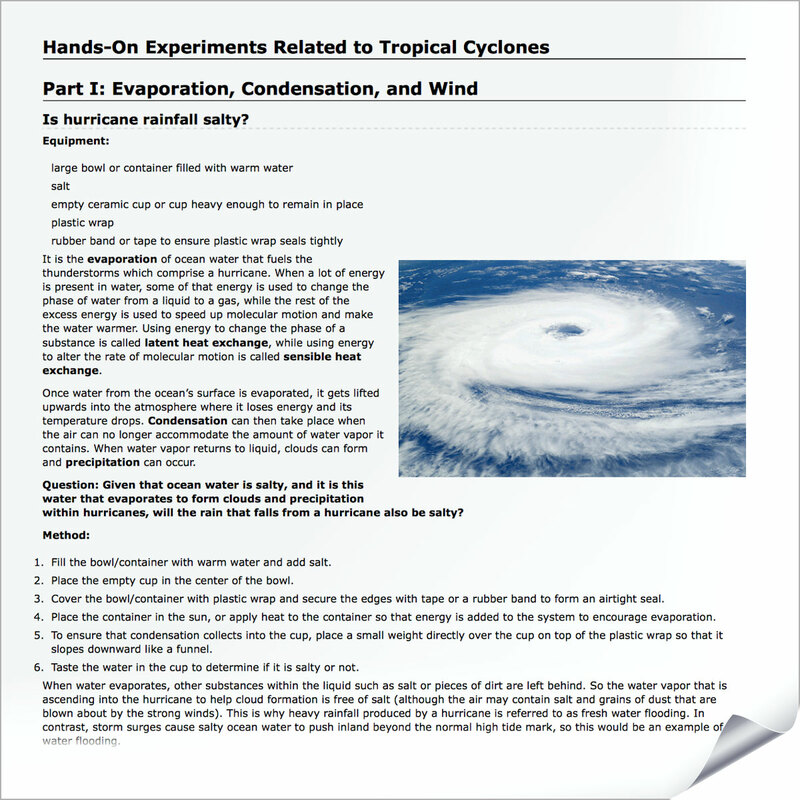 These three hands-on activities explore the questions “Is hurricane rainfall salty?” “What happens to air’s moisture content when wind blows over water?” and “How does a spinning platform impact the movement of an object?” Also available as a PDF from the Exploring Florida website. These charting exercises investigate the paths that tropical cyclones have followed in the past. No special equipment is required, and these activities can be adapted for any grade level. Also available as a PDF from the Exploring Florida website.